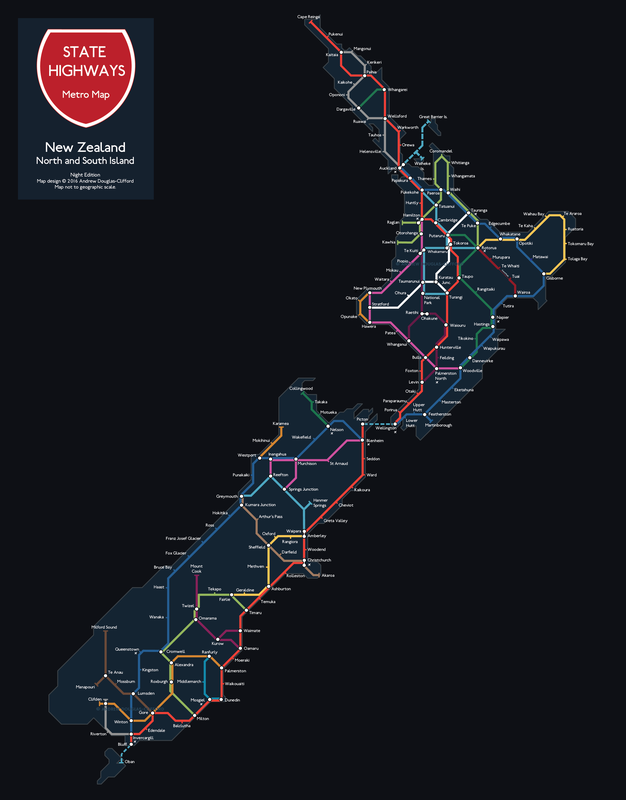 New Zealand’s State Highways represented in the style of the iconic London Underground Tube map. 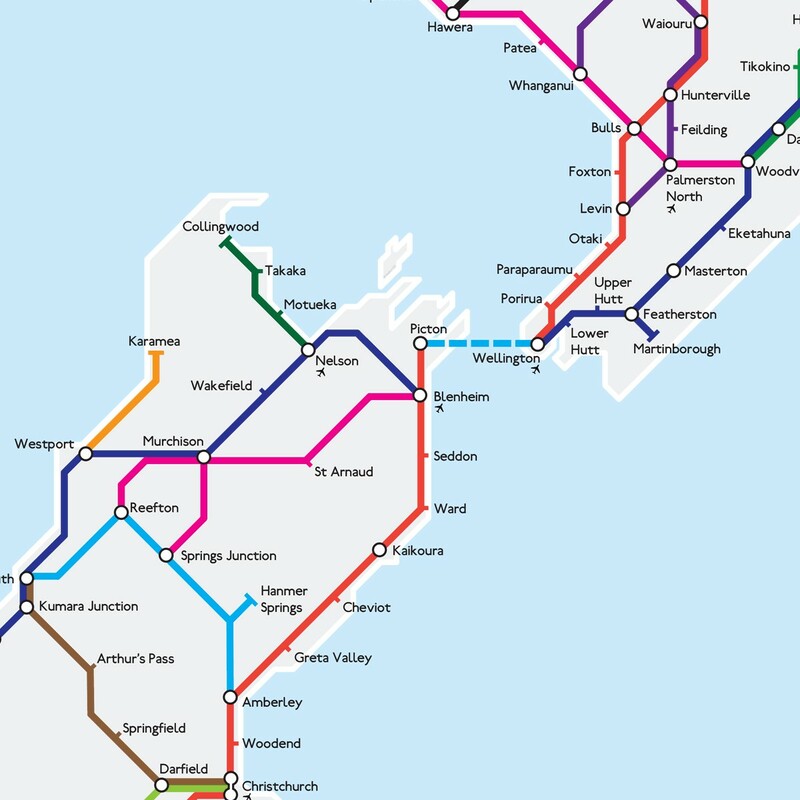 The map shows New Zealand’s State Highways as routes, with towns and cities along them represented as stops and interchanges. 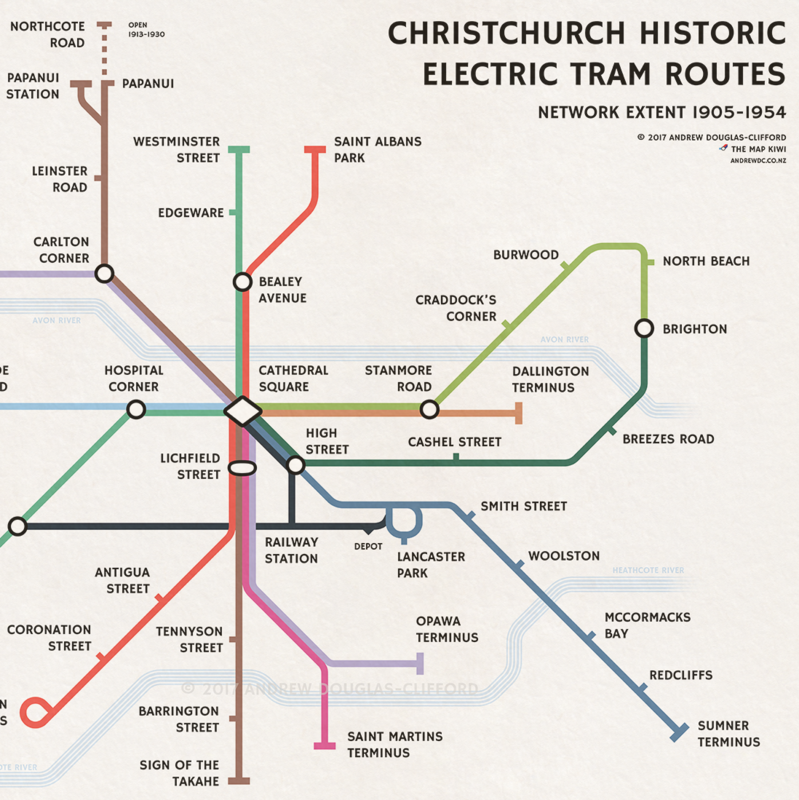 Unlike traditional road maps, this map focuses on the topographical connections between places instead of geographical accuracy. 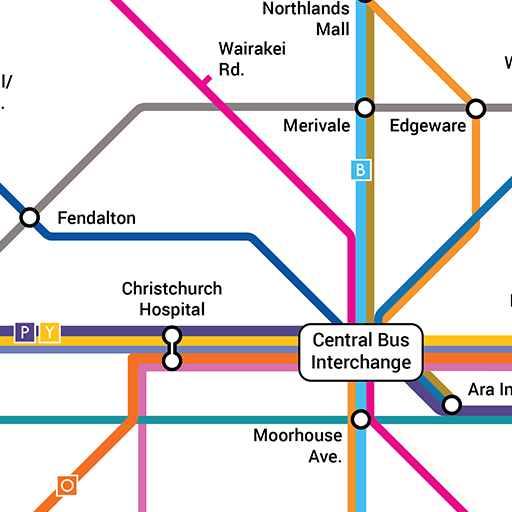 The map gained widespread popularity in early 2016 when it went viral on social media, and appeared in several news articles including RNZ Checkpoint programme and the New Zealand Herald. 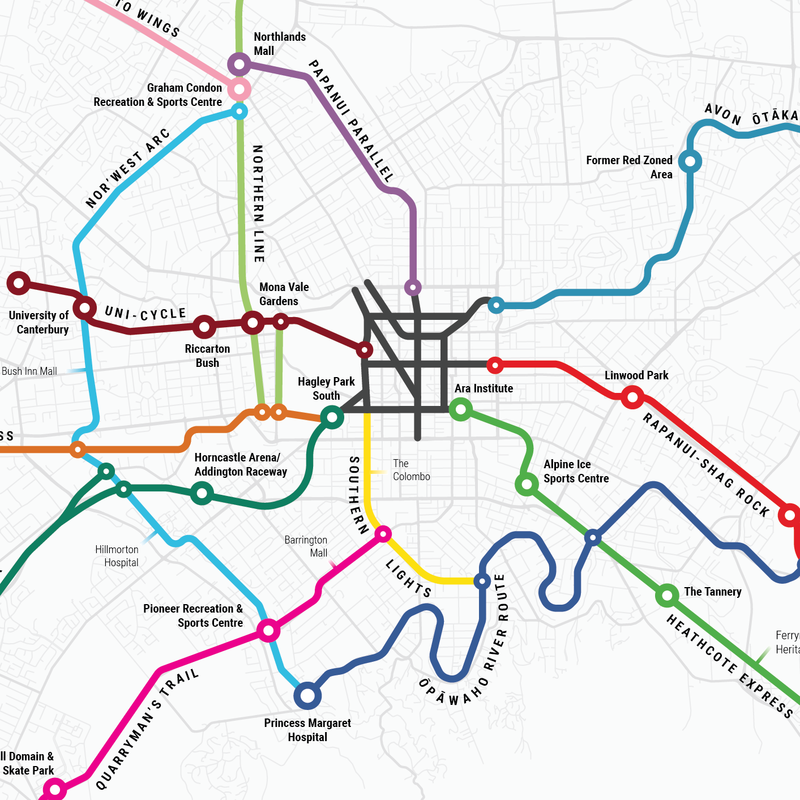 It also inspired me to pursue a career involving cartography. 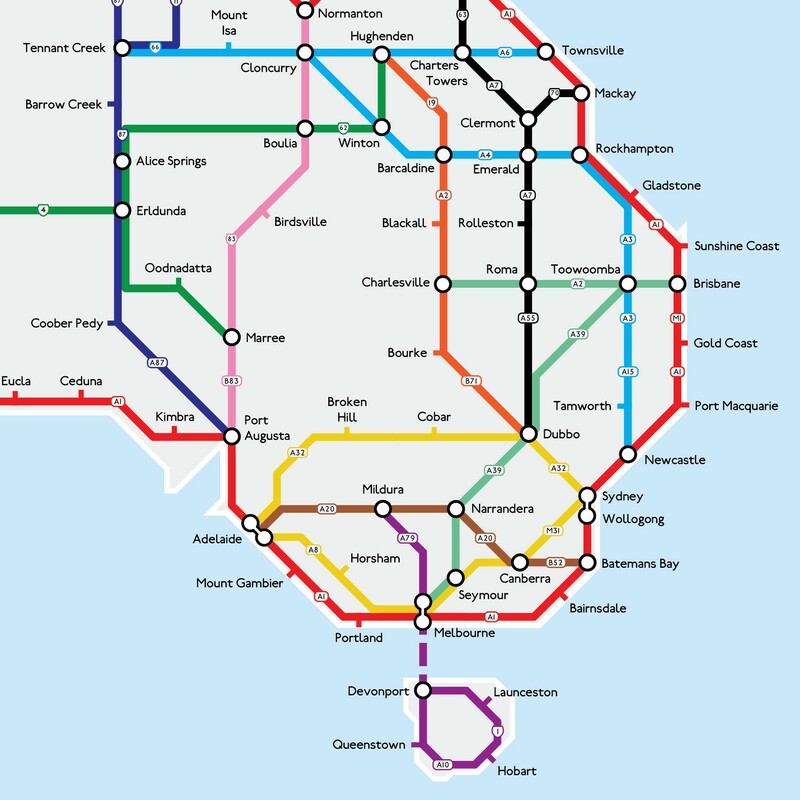 My talk at the GeoCart Cartography Conference 2016 at the National Library in Wellington was about my experiences as an emerging student cartographer and based around this map. You can read the abstract for the talk here. 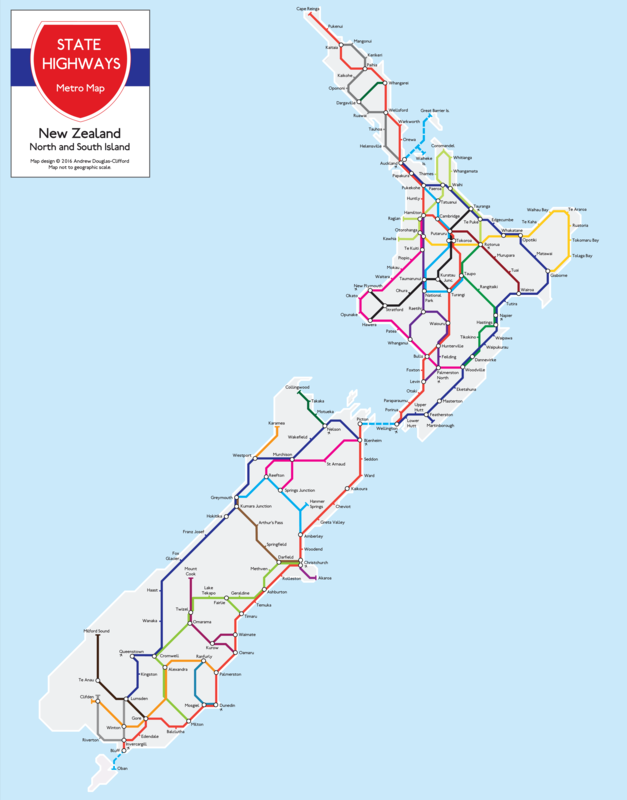 The map also won the People’s Choice award at the New Zealand Cartographic Society Map Competition in 2016.